When you own an iPhone, there’s no reason to misplace paper business cards or keep them piled up in your desk drawer. Use one of these apps provide a better, paperless solution. 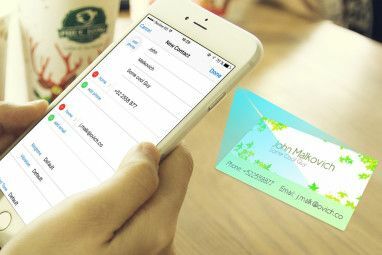 Business card apps use your device’s camera to capture cards before scanning and parsing the contact data, saving you the trouble of manually typing names, email addresses or phone numbers. There are several strong solutions to choose from, with each providing a free trial to test the quality and features on offer before you buy. If you’re an Evernote Premium user, a business card scanner is built into the iPhone and iPad versions of the app. If Evernote is already your digital file drawer for all sorts of documents, it makes perfect sense to throw scanned business cards into the mix. The video below provides is an overview of how to use the feature. In my tests I found that the Evernote app performs best scanning business cards with a white background, and that it has problems scanning cards that use a colorful image as the background. If the app doesn’t the scan and capture the data, you can still manually type it in. Evernote has partnered with the business social networking site LinkedIn so that if information detected by Evernote matches a LinkedIn member, Evernote will pull relevant information from the contact’s LinkedIn profile page, including the profile photo. Before you save a card as an Evernote note, you are given the option of emailing your personal stored contact information to the new contact. Current non-premium Evernote users can connect their accounts to LinkedIn to receive a complimentary year of business card scanning. Two drawbacks to the Evernote business card feature is that it doesn’t include the option to save contact information to your address book on your iPhone, and there’s no option for automatically saving scanned cards to a pre-specified notebook. Business cards can also be saved using the latest version of the free Evernote Hello contacts app Evernote Hello 2.0, The Cutting Edge Way To Add Contacts To Your iPhone Evernote Hello 2.0, The Cutting Edge Way To Add Contacts To Your iPhone If you're an iPhone user who regularly attends conferences and social networks in which you collect business cards, or the names and email addresses of people you meet, you definitely should check out the newly... Read More , which allows for saving contacts to a pre-selected notebook but does not allow for taking photos of the backside of a card. Hello also has less data fields than the business card scanner feature and doesn’t require a premium account. CamCard is a popular option for scanning business cards. Like the Evernote feature, CamCard automatically recognizes, scans, and pulls information from business cards. Card information can be shared via email, SMS, QR Code and shared directly to your address book. 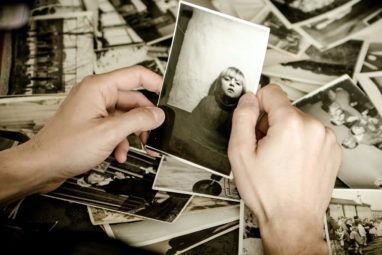 CamCard can also capture the backside of a card, and it can even scan cards imported from your photos library or shared by other CamCard users. In addition, CamCard enables users to create a personal business card inside the app that can be shared with others. 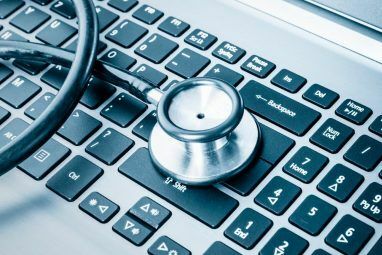 It’s not a fancy card, but it does enable users to share their personal information so that recipients can easily store the data in their address book. Similar to Evernote’s Hello app Evernote Hello 2.0, The Cutting Edge Way To Add Contacts To Your iPhone Evernote Hello 2.0, The Cutting Edge Way To Add Contacts To Your iPhone If you're an iPhone user who regularly attends conferences and social networks in which you collect business cards, or the names and email addresses of people you meet, you definitely should check out the newly... Read More , CamCard includes an “exchange cards” feature that allows users to wirelessly exchange cards with other nearby users. The free ad-supported version of CamCard allows for 1000 card scans, and an extra 100 scans per week for registered CamCard users. Non-registrants are restricted to 50 free card scans and 2 extra per week after the first time the app is launched. You can remove all restrictions by purchasing the unlimited version for $2.99. All scanned cards are synced to your registered online CamCard account. SamCard does a good job of scanning, but it does not automatically capture a card. You will need to manually tap the shutter button to make the capture, which can be done in both vertical or horizontal positions. Scanned cards are limited to an entry in your address book and (optionally) your Camera Roll. SamCard recognizes seven languages, and the scanned photo can be used as the image in your address book. Users can also access their address book from within SamCard. The free ad-support trial version of SamCard allows for a limited evaluation but is limited to three new scans per week. You can remove all restrictions by purchasing the pro version for $3.99. ScanBizCards also doesn’t automatically capture cards, but it scans information well and allows users to export or forward contact data to other sources like Evernote, Constant Contact, LinkedIn, Salesforce, and Daylite. You can even set up a calendar reminder from within the app to follow up with a contact. ScanBizCards scans over dozen languages, and all scans can be backed up to a ScanBizCards web account, which requires a monthly or yearly subscription. Scanned cards are also saved within the app, and can be managed in groups. The free ScanBiz Lite only lets you save five business cards per week to the address book, has limited export options (including no LinkedIn connect) and doesn’t let you assign contacts to groups. The full premium version of ScanBizCards is $4.99. Each of the above apps worked well in my tests, and fortunately each includes a free version so you can test them out for your own particular needs. For those of us who are dedicated paperless users The Beginner's Guide To Going Paperless With A Mac, iPad and iPhone The Beginner's Guide To Going Paperless With A Mac, iPad and iPhone I don't have the stats to prove it, but I think the money I save by going paperless practically pays for my Apple devices. Read More , a business card scanner is something you need on your iPhone. Which business card scanner do you use, or do you still prefer cluttering up pinboards and desk drawers with other people’s contact information? Explore more about: Business Card, Scanner. SO is there no way to get my contacts from Evernote into my Constant Contact? Maria, you might check on the Evernote site to see if there's a third-party app that supports Evernote and Constant Contact? I'm familiar enough with Constant Contact to see how it might work with Evernote. Sorry. Hi Bakari, one of the best scanning business cards apps is definitely Abbyy Business Card reader (we are not affiliated to them!) which can also be linked to Salesforces and integrates excellent social media features. What do you think about it?! Cool, OGenius, thanks for letting us know about Abbyy. I don't like Paperless concept everywhere. It's just time waster. Instead of just searching through your phone and giving them via Mail or WhatsApp just take Business Card out of your pocket and give it to the other person. It's that simple. Hey Chinmay, thanks for your feedback, and I understand where you coming from. But having just finally emptied out my file drawers the other day, I'm so hooked on the paperless approach. I also actually use my iPhone as a wallet, with two debit cards in a special iPhone case. 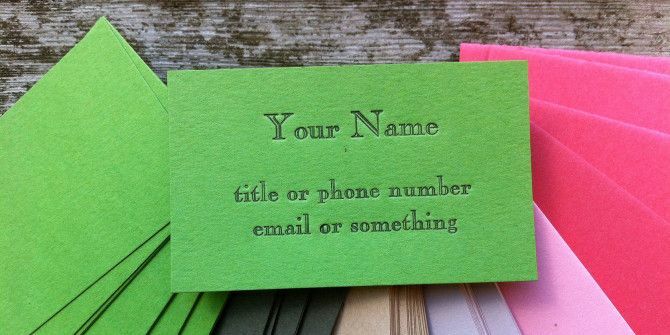 And I prefer to snap a quick photo of a business cards or use Evernote Hello instead of trying to keep up with paper cards. But it's also okay to hand out paper cards and archive them later.